"Discard Any Clothing That No Longer Sparks Joy"
From The New Yorkers' "Shopping at Anthropologies with Marie Kondo. Discard any clothing that no longer sparks joy. Passing a display of denim jeans and dark-blue chambray shirts, Kondo touched almost nothing. She said that she rarely wears pants because several years ago they stopped bringing her joy. 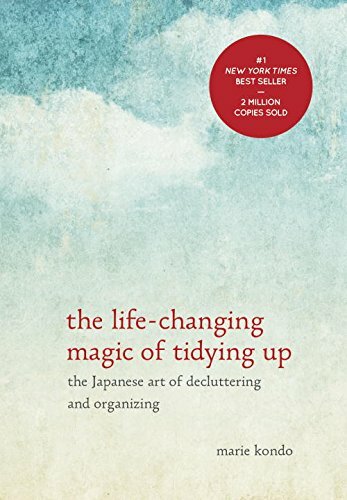 I'm currently finishing up her book, The Life-Changing Magic of Tidying Up: The Japanese Art of Decluttering and Organizing on my Kindle and I'll admit, I'm SUPER inspiried. Only 50% in, I'm giving this book a 10 our of 10! Go grab yourself a copy and tell me what you think.